March 17, 2010 - Unite the union that represents the cabin crew of British Airways has written a letter to Britain’s Transportation Secretary, Lord Adonis requesting an investigation of British Airways' plans to deploy a strike-breaking crew. The union says the minister must take all steps to ensure that the reputation of UK aviation is not damaged by BA's determination to deploy under-trained novices as cabin crew during the strikes which loom this weekend. Unite is calling on the minister to put two essential questions to the airline. Firstly, BA must demonstrate to him that they have taken all steps to ensure that those who are working on the planes have cleared stringent UK national security checks, checks which normally take three months to process. Secondly, BA must show that strike breaking crews have been vetted in accordance with the security requirements of BA's destination countries, and that these countries have been properly advised of BA's intention to use fast-tracked stand-ins. Unite also wants these assurances to be placed in the public domain so that passengers can be confident that standards have not been compromised. The union has approached the minister following the failure of Transec, the government body responsible for transport security, to respond to Unite's letter of concern sent in January this year when BA first announced its plans to train strike-breakers. Unite had asked Transec to check that BA was complying with all safety and security checks. Unite's concerns about BA's plans deepened when it emerged that strike-breaking crew would board as passengers only to present themselves as crew when the plane was in the air. On landing, they would then resume passenger status to clear immigration. It is thought that this plan would allow the strike-breakers to bypass all working visa requirements and vetting procedures. Unite says that if this is not the case, then BA must make that clear to the minister. Unite also believes that the secretary of state must be assured that those embassies which issue working visas, such as the US Embassy, have been fully informed by BA of their intentions, and be satisfied that the airline is complying with their criteria for crew who pass through their airports. In a bid to resolve the long-running dispute between BA and its cabin crew, Unite is doing all in its power to persuade British Airways to re-table the offer in withdrew last week and to allow our members a voice on their future. However, Unite has grave concerns that BA's threat to break any lawful strike by deploying up to 1000 fast-tracked, under-trained volunteers as crew during a dispute places not just our national carrier's reputation for quality at risk, but will jeopardize the UK's reputation as a place where the standards governing air passenger transport are respected and upheld. In January this year, Unite wrote to Transec, the transport security contingencies directorate, detailing specific concerns we have in relation to the training and vetting of volunteer crew by BA, set to be deployed this weekend. To date Unite has had no response from the directorate to this letter, which in itself is concerning. This sector is clearly of national importance, and has rightly been given significant support by your government. Given recent developments, Unite is now writing formally to you request an urgent investigation by your department into the rushing through of stand-in cabin crew and ask that you take all steps to assure yourself, the government and the travelling public that, during this dispute, corners have not been cut in the standards which govern our aviation industry. Setting aside our obvious concerns that paying passengers will be in the care of an under-trained crew, reliant on them for their in-air safety and well-being, there are two clear issues of concern with the volunteer programme: first, the compliance of all volunteers with UK security checks; and secondly, BA's duty to other national governments to comply with their vetting laws. Irrespective of the views Ministers may hold on the nature of this dispute, we know that your first concern is to ensure that the travelling public does not suffer. Therefore, we are urging you as Secretary of State for Transport to demand that BA responds to you urgently on these two principal matters of concern, giving you total assurance that no corners are being cut with passenger safety and security in this country or in any of the BA designation countries. We also urge that these Reponses are placed in the public domain to encourage wider public assurance. 1. What steps has BA taken to comply with all security and record checks required by those who are to work "airside"? You will be aware that last week a potential BA ‘volunteer crew member’ was remanded in custody on charges relating to an alleged terrorist plot which pivoted around his role as a ‘volunteer’ crew during any dispute. You will also be aware that Criminal Records Checks (CRCs) are conducted on potential cabin crew but these are only able to identify those who already have a criminal record on file in the United Kingdom. There is no way of obtaining such information on those from overseas or indeed UK residents who may have committed offences overseas, which could impact on their ability to access other countries to work, such as the United States, when deployed as strike-breaking cabin crew. 2. Has British Airways taken all steps to comply with the visa and vetting requirements of the national governments of BA destinations? British Airways says that they are able to employ ‘volunteer’ crew on from across the airline as well as to ‘charter’ crewed aircraft to provide BA services from leasing companies. Further, it is our understanding that many of these ‘volunteers’ we be travelling as paying passengers not ‘crew’ and then changing and working on-board, thereby avoiding working visas where required and the necessary vetting procedures of other national governments. If this is the case, this is clearly a deception of these national governments. We urge you to clear this matter up urgently. 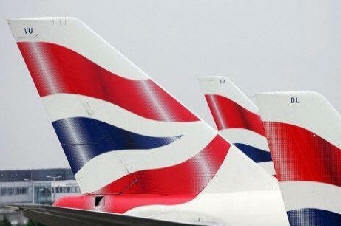 Many of BA's key routes are into the USA, and the airline has pledged to run the New York route during any strike. Our understanding is that the visas required to enter US airports as crew are only issued by the US Embassy but we ask that you now check that this Embassy been fully informed by BA of their intentions and are they satisfied that BA is complying with their criteria for those crew who will pass through US airports as workers? Finally, we have serious concerns over the training being provided to ‘volunteers’ given the central role of crew in providing a safe and secure environment on-board aircraft. Experienced, professional cabin crew save lives, a fact that has been proven on many occasions whether in times of aircraft emergency or in relation to individual passengers suffering a serious ill health emergency, such as in New York just last week. ‘Volunteer’ crews simply will not have the expertise to deliver such care, placing the travelling public at serious risk should an incident occur, and setting a dangerous precedent for tolerating lower standards which other airlines may seek to follow. Deservedly, UK aviation has a world-wide reputation for high standards in both it operations and the calibre of people employed, and BA in particular embodies these values. It would be hugely damaging for our global reputation were these qualities to be sacrificed by one company's pursuance of a conflict and not negotiation. BA's desire to break a lawful dispute - twice voted for by our members, so strongly do they feel about their futures - must not lead to the dilution of long-standing aviation standards. We therefore ask that your Department urgently reviews the arrangements BA has put in place in respect of the above matters and takes all necessary steps to give the public confidence that standards in this important industry will be safeguarded.